While millions of people around the world have been watching April the giraffe’s livestream from a zoo in upstate New York, the species has been facing a ‘silent extinction’ in the wild. According to recent estimates by conservation authorities, giraffe populations have plummeted by 36 to 40% over the past 30 years. Today, roughly 97,500 giraffes remain in Africa compared to over 150,000 giraffes found in 1985. 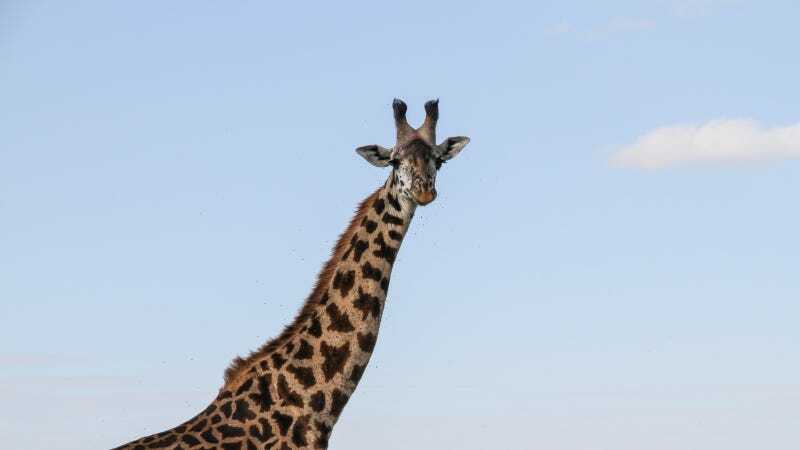 In a response to the massive decline, five of the biggest conservation groups in the United States are petitioning the U.S Fish and Wildlife Service to protect giraffes by listing them under the Endangered Species Act. On Wednesday, the Center for Biological Diversity, Humane Society International, The Humane Society of the United States, International Fund for Animal Welfare and Natural Resources Defense Council filed the petition in Washington. There are now fewer giraffes than elephants in Africa. “There are now fewer giraffes than elephants in Africa. It’s time for the United States to step up and protect these extraordinary creatures,” said Tanya Sanerib, a senior attorney at the Center for Biological Diversity. In December, the International Union for Conservation of Nature (IUCN) Red List upgraded the giraffe’s status from a species of ‘least concern’ to ‘vulnerable to extinction’. However, the United States has no federal laws protecting them. The petition seeks to give the giraffe endangered status, which would put a ban on most imports and sales of live giraffes as well as giraffe products. While the Walter Palmers of the world are vilified and shamed by what seems like the entire internet, a quick Google search shows there is a vibrant domestic trade in African animal products—And it’s actually growing. Documents filed with the petition include recent surveys that suggest there has been a steady rise in giraffe products imported into the U.S during the last decade. Between 2006 and 2015, the U.S. imported 39,516 giraffe parts—the equivalent of at least 3,751 giraffes (there’s no way to know from how many different giraffes the parts come); 7,607 giraffe products were imported in 2015 alone. The giraffe products ranging from giraffe-skin pillowcases to giraffe-bone knives can be bought on a number of different websites and online stores including Amazon, eBay, and Etsy. As of this week, a nine-foot “extremely well preserved” giraffe taxidermy bust, can be bought from New York based 1stdibs.com for $7,685.55. While protection under the Endangered Species Act wouldn’t outright stop Americans from going to Africa to hunt giraffes, it would make banning the import of their trophies more difficult. U.S imports are, however, only a small part of the problem. Rapid development and environmental degradation in Africa is leading to massive habitat loss for giraffes. Once numerous across West Africa, only about 400 giraffes now live in a section of southwestern Niger. In Somalia, a 2013 report from the Giraffe Conservation Foundation stated it was doubtful whether any giraffes still survived in the country due to ongoing conflict. In some countries like Tanzania, which is home to world’s largest giraffe population, the animals are facing added threats of being slaughtered for bushmeat. We’ve seen adult giraffes with wire snares around their necks and legs that they have broken free from. The East African country has seen its giraffe population reduced by more than half over the last 30 years. "Giraffes are clearly at risk of extinction, and this U.S. law is one of the many tools the world can and should use to help avert that extinction,” he said. Lee is conducting the largest individual-based giraffe research project in the world. He says the ESA can make a real difference. The U.S. Fish and Wildlife Service has 90 days to review the petition and determine whether a listing is warranted.